Odd Job Promotions have been putting on shows in Leeds for a couple of years now, giving a platform to artists who deserve to find a bigger audience. Their latest night takes place at The Fox & Newt on April 7th, with headliners April Towers supported by local outfit ENGINE. “April Towers began making music in Nottingham in 2013. Alex Noble and Charlie Burley met at school and bonded over a mutual love of The Arctic Monkeys. After experimenting initially with a guitar based sound the duo then changed direction and took their inspiration from the likes of Hot Chip and LCD Soundsystem. Since then they’ve packed a lot in! 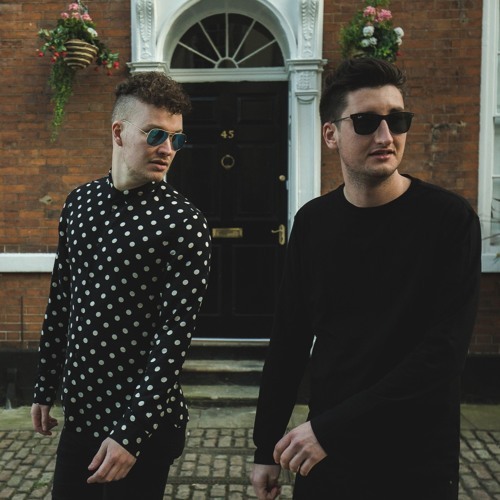 Their single Arcadia was played by Fearne Cotton on Radio 1, they featured on the FIFA 2016 video game soundtrack and they’ve been building a dedicated following with their brand of edgy electronic tunes and filtered dance beats. They’ve also been working hard on their debut album Certified Freaky which was successfully crowd funded through Pledge Music. It’s now ready for release on FFS Records and fans in Leeds will get an exclusive opportunity to hear tracks from it at the Fox and Newt as the lads warm-up for a nationwide tour with a long-awaited return to the city to play at a fantastically intimate venue. Supporting them will be another highly-rated band, ENGINE, playing in their home city. Surfing in from the outer rim of Burley and noisily settling on the Meanwood nebula, ENGINE continue to blaze an individual DIY trail in Leeds. The group combines sampled psychedelicisms with introverted songwriting of a bygone era. Well said Paul. Check out April Towers below and join them (and Paul) at The Fox & Newt on the 7th – tickets are just £5 in advance and can be bought here.